It has been forever since I posted. Of course I don't have too many followers yet - so its no big deal. :-) I have been crafting though. Not a whole bunch but enough to keep me busy. I have a BUNCH of pictures that I would like to eventually catch up on posting. Hopefully this summer I will be able to. These first two are the pictures of a notepad holder. They are the small 8x5 notepads I got from Sam's. It is made in a way so that when they are done with the notepads they can easily replace it and use it over and over. The base is SU Certainly Celery. DP is SU Summer Picnic (retired a looooong time ago). 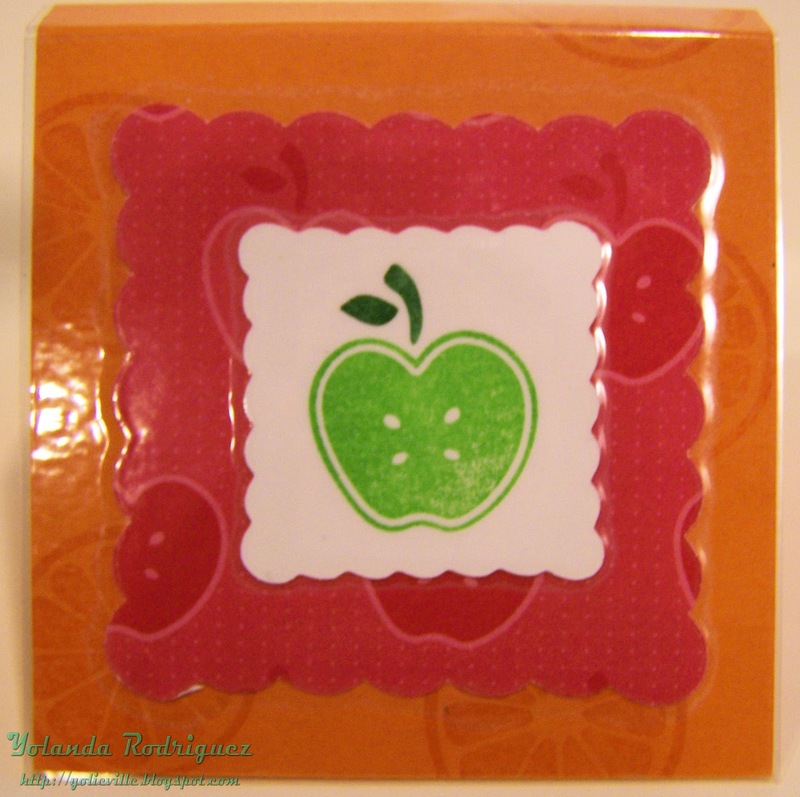 The stamps are also retired SU Tart and Tangy. The name done using SU Best Friends Alphabet. The button is also from SU. The above pic is a post it note holder using the same paper and stamps. 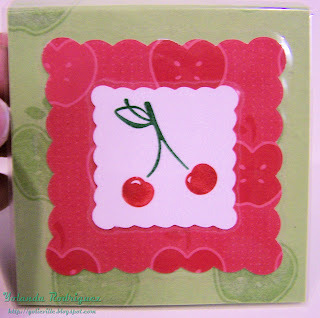 The card uses the same paper and apple stamp from Tart and Tangy. The sentiment comes from SU One Smart Cookie. The ribbon is from my stash. I cut the orange circle/star with my Cricut. 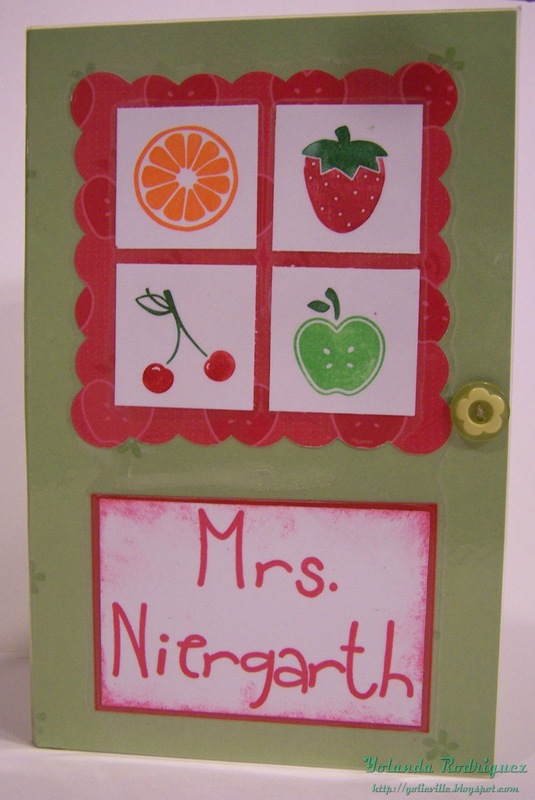 I also made an orange set since that year because that year one of my boys had two teachers. Again - I apologize for the poor picture quality. This one is had a base using SU Pumpkin Pie. I used the same stamps and DP. The card has the SU Bashful Blue starbust that was cut using the Cricut also. Like I said, I love making these every year for the teachers so I definitely have more to post...eventually.